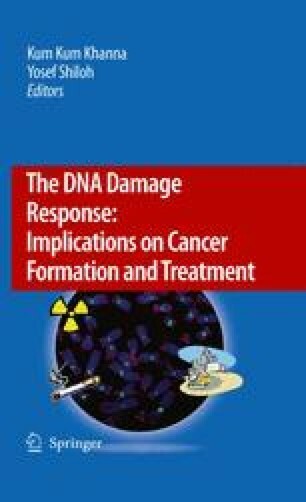 A network of DNA damage surveillance systems warrants genomic stability under conditions where cells and organisms are continuously exposed to DNA damaging agents. This network includes DNA repair pathways, but also signaling pathways that activate cell cycle checkpoints, apoptosis, transcription, and chromatin remodeling. Among the various repair pathways nucleotide excision repair (NER) is a highly versatile and evolutionary conserved pathway with an intriguing wide substrate specificity; this pathway removes structurally unrelated bulky DNA lesions from the genome such as sunlight induced photolesions, bulky adducts formed by polycyclic aromatic hydrocarbons, cisplatin intrastrand crosslinks, and alkylation products. The common features of these lesions are the variable degree of DNA helix distortion inflicted and their potency to block replication and transcription. The importance of functional NER for human health is highlighted by the existence of rare autosomal recessive human disorders such as xeroderma pigmentosum (XP). Affected individuals, characterized by a defect in NER, suffer from hypersensitivity to sunlight and display strongly enhanced cancer susceptibility in sunlight exposed parts of the skin. Mammalian NER involves multiple proteins (in excess of 30) and carries out the repair reaction in a highly orchestrated fashion. In this book chapter, we discuss the current knowledge of the molecular mechanisms underlying NER, its relation with human disease and the translation of knowledge to clinical use. This work was supported by grants from ZonMw (912-03-012 and 917-46-364) and from EU (MRTN-Ct-2003-503618).